Stop by and give them a hearty “Ahoy”. Otto and Gloria Wuthrich also rejoined after too long of an absence. The weather is warmer and WYC’s activities are heating up as well. Three more events are available to you this month! Commodore Chet Jachimiec hosted a happy hour at one of our favorite watering holes – T-Bone Tom’s. 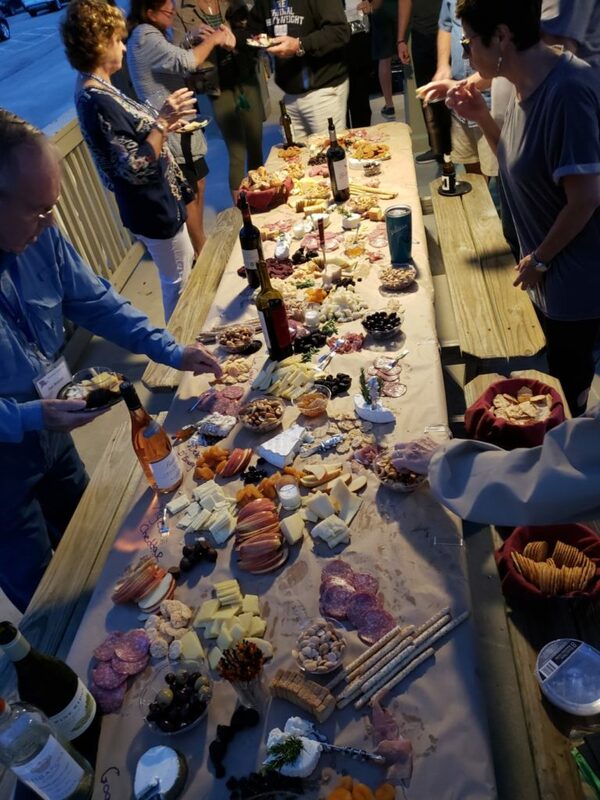 Twelve members enjoyed food and beverages while listening to rock and roll hits of the 70’s – 80’s by local band Wake Zone. Come along to Freeport for a weekend of cruising. Boaters can start the long Easter weekend with a run offshore from Galveston to Bridge Harbor Marina in Freeport on Friday or arrive via the ICW. On Saturday we’ll spend a leisurely day motor/sailing through the ICW back to Pelican’s Rest in Galveston for another overnight stay. The weekend will close out with the final leg back to Waterford Harbor on Sunday. WYC will provide the dinner entre on Friday and Saturday, so just bring a side dish to share each dinner. 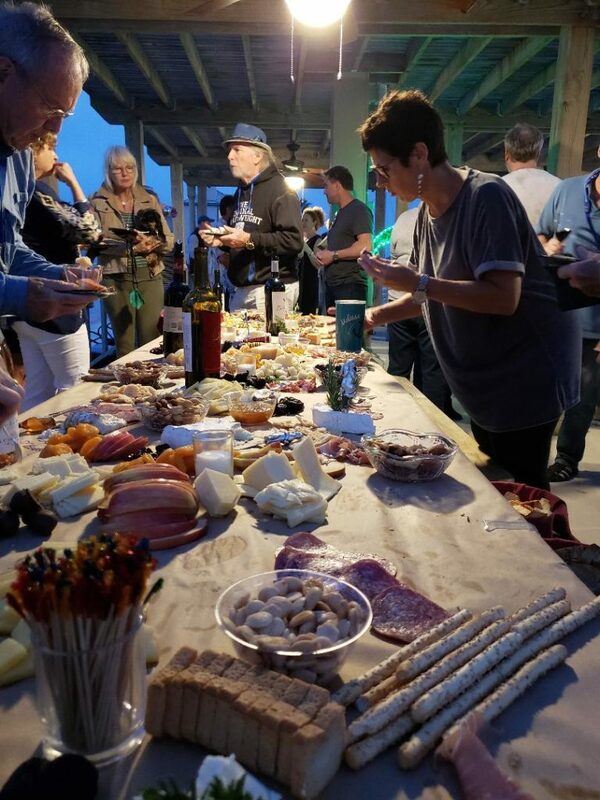 Should your schedule already be filling up, just drive down to one of the Marinas and join in. Please RSVP for this event so that the proper number of dinner servings can be provided. The marinas are expecting WYC but each boat owner must call ahead and reserve a slip. Have you proof of insurance on file with the marina prior to arrival and mention you are with the Waterford Yacht Club. WYC member Kent Little is sponsoring a spring in-the-water boat show. Make a point of stopping by and looking over the exhibits, the WYC booth, and of course the boats. 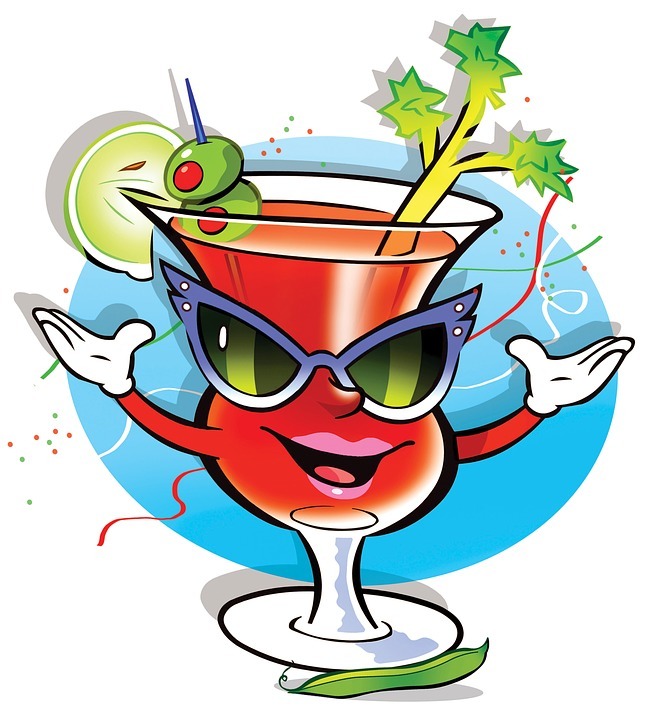 WYC will assist WYH denizens who boat ed excessively Saturday night, or would just like to visit, with a Bloody Mary eye opener on Sunday morning April 28. A Sunday event is a little different from the usual pace at WYH so stop by between 9:00 am and 12:00 (until supplies run out). The club board of directors have ambitious plans for the year and need event co-hosts to make it happen. Think about expanding your WYC experience and helping with an event. Contact the WYC Social Director Sarah Winston sswinston@comcast.com for opportunities. Sailboat a nd powerboat racing are exciting competitions, testing both seamanship and equipment; but don’t get carried away. Stay aware of your surroundings and keep a margin of safety even if it means finishing late. Luckily nobody was injured in this recent, nearby incident where the mast got caught in the platform supports..